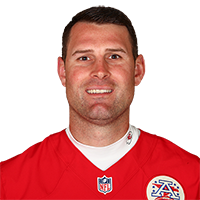 Published: Aug. 30, 2018 at 09:15 p.m.
Kansas City Chiefs quarterback Chad Henne finds Kansas City Chiefs tight end Demetrius Harris for a 3-yard touchdown. Published: Aug. 17, 2018 at 08:55 p.m. Published: Aug. 9, 2018 at 09:56 p.m. Published: Sept. 9, 2013 at 08:42 a.m.
(:46) (Shotgun) C.Henne pass incomplete short right to A.Sanders [M.Catapano].